Silent disco is coming to Key West! The island’s first-ever silent dance party held on the Sunset Green Event Lawn at 24 North Hotel on May 25 and 26 from 8-11 pm. The all-ages event will feature three Miami-based DJs and is sponsored by the Waterfront Brewery, Sound Good Entertainment and the Sunset Green Event Lawn. Unfamiliar with the concept of a silent disco? 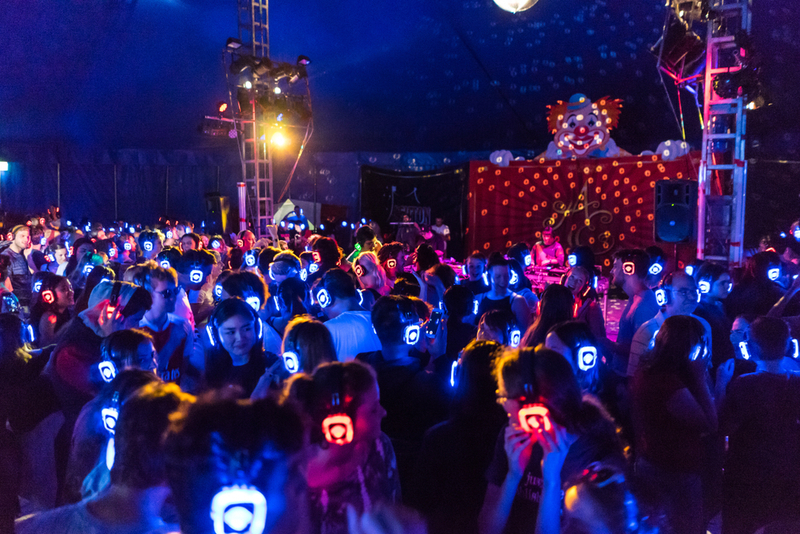 The silent disco is a dance party originally created for party goers to beat noise ordinances and noise pollution. How does it work? People dance to music broadcast via radio transmitter while wearing wireless headphones. The room is silent, and guests can control noise levels to suit their taste. There’s also the added benefit of being able to talk to the person next to you, simply by taking off your headphones. Guests will be able to choose between three live DJs simply by switching channels on their headphones. The Magic City-based lineup is DJ Art-a-Funk (Boston); DJ Mykel (Amsterdam); and DJ Tillery James (NYC). The DJs will be set up at three different stages with light systems and glow props. The night will be a visually-appealing disco party you’ll never forget. The event costs $10 and includes the waterproof headset rental. An artist will also live-paint a mural which will later be raffled off at the end of the night. Food and drinks will be available on site and a portion of ticket sales will benefit Reef Relief. Make sure to buy your tickets ahead of time and keep up with the event on its designated Facebook page.